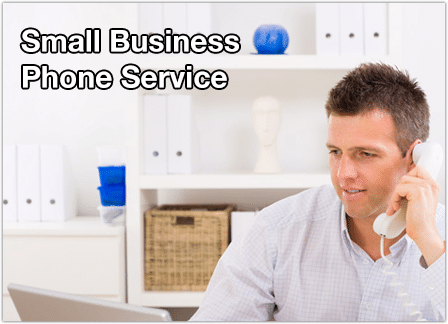 Looking for Small Business Phone Service Providers? Trying to determine which small business phone service is right for your company can be a challenge. You may consider getting business VoIP phone service or a virtual office phone system that works with your existing phones (e.g. cell phone, home telephone, etc.). Virtual phone systems do not require the internet like VoIP business phone service. However, some small business VoIP service providers offer both small business phone service options. You may consider getting the lowest cost option and then upgrading at a later time. Either solution will save your company time and money. Just a few years ago most companies had to pay tens of thousands of dollars for a traditional PBX office telephone system. Now for as little as $9.99 per month you can have all the power of an expensive phone system without the cost or need for equipment. This low barrier to entry makes this small office telephone solution perfect for start-up companies, home-based businesses, and small business with remote employees working in multiple locations. What is the best small business phone service option? VoIP business phone service is an affordable option. Business VoIP phone service requires minimal investment. Hosted business phone systems require no equipment. 1. They’re an affordable way to boost sales. 2. A good vanity 1-800 number is hard to find. 3. Don’t rent – own.